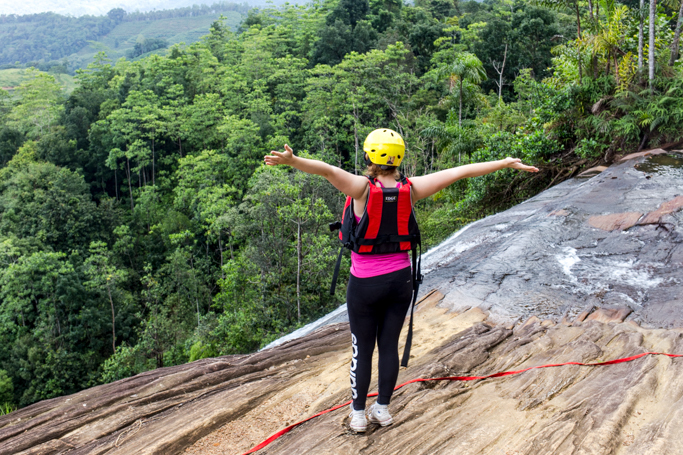 I always thought of myself as an adventurer, but standing on top of a waterfall, about to abseil in Sri Lanka, I realised I had never done anything like this before. I had never abseiled, never zip lined, never rock climbed, and now I was terrified. But what is the saying? Do one thing everyday that scares you? 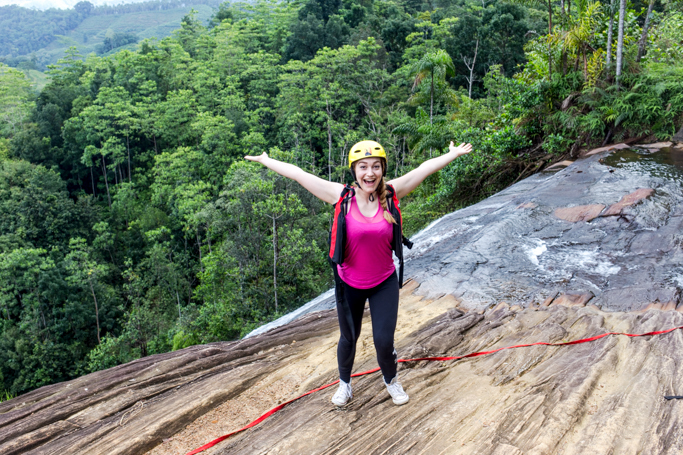 OK so I won't be abseiling everyday but I came away with a feeling of such pride, so here is my experience abseiling down a waterfall in Sri Lanka, plus a few little tips. 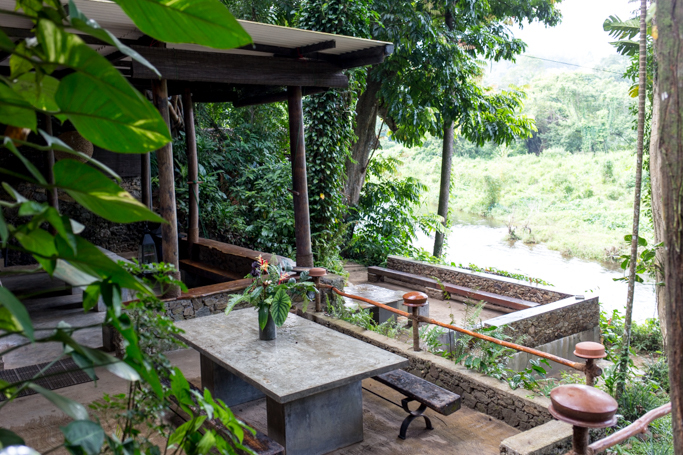 I completed my abseil in Kitulgala, Sri Lanka, with the company Borderlands, Sri Lanka, the most experienced and highly rated adventure company in Sri Lanka. White water rafting? Para-seiling? They are you guys. 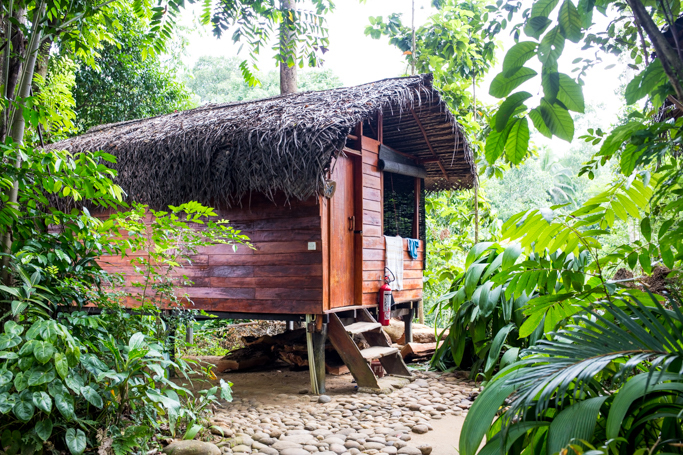 Plus they have a pretty sweet base camp. Turns out I had a slight fear of heights, or more accurately a big fear of falling straight to the bottom. 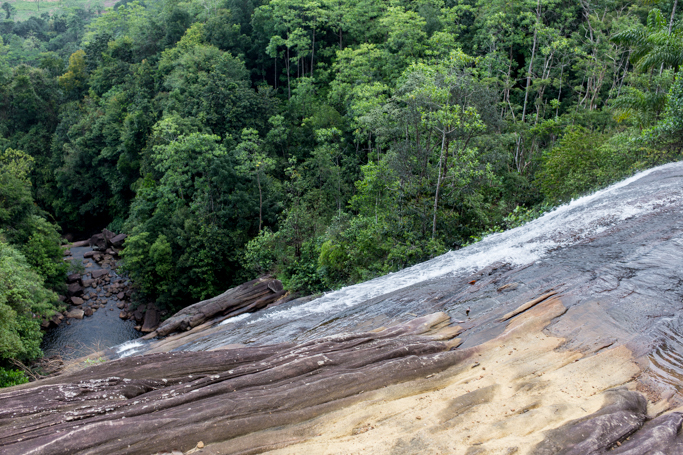 Standing at the top of a 145ft waterfall is a daunting task for a newbie abseilee. 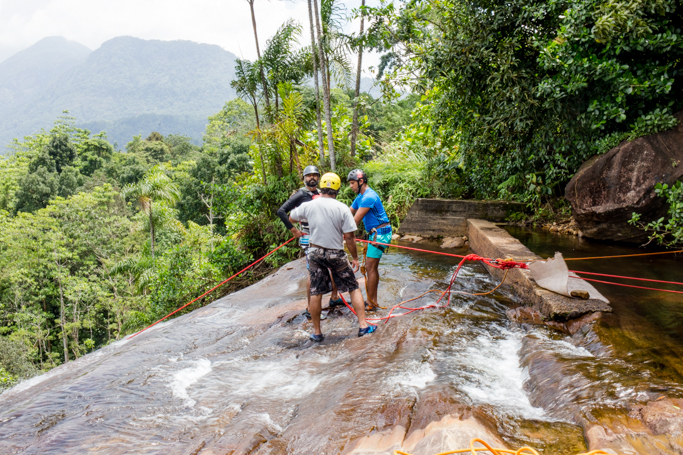 Once at the top, the Borderlands, Sri Lanka instructors hand out kit and show you how to attach it all safely, then they walk you through exactly what happens and how to complete the abseil. I won't lie, it sounds daunting the way they say, "don't let go of the rope or you fall". That's not strictly true, you will fall a little, but there is a man at the end of the rope who will pull you to safety. When you've had your equipment fitted its time to do the abseil. I wouldn't recommend going first if its your first time but go second or third. Don't wait too long as you'll panic yourself, but you can watch someone first to see what they do (or what not to do). Keep your legs straight and sit into your harness, this way when you walk, you'll stay straight and controlled. Do not look down. Its tempting, but just don't, not on your first run. Also while the instructor will tell you to do it one handed, I'd use the second hand as a rope guide. It's psychological but it helps with nerves. Wear sensible clothing. Gym gear works well, but make sure your shoes have good grip, as otherwise you'll be slipping down,that rock face, especially if it's wet. Enjoy it. I was scared so much before hand, but actually all I can say, is it really isn't that bad. In fact I rather enjoyed it! Who knew I had it in me to abseil in Sri Lanka. wow !!! its Awesome !!! Great post, I like the points raised and would agree with you. Thank you very much for sharing this useful post. Thank you.